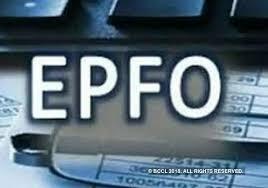 EPFO has announced that its members have now an option to withdraw 75 per cent of their funds after one month of unemployment and keep their PF account with the body. of their funds and go for final settlement of account after completion of two months of unemployment under the new provision in the Employee Provident Fund Scheme 1952. Labour Minister Santosh Kumar Gangwar has said " We have decided to amend the scheme to allow members to take advance from its account on one month of unemployment. He can withdraw 75 per cent of its funds as an advance from its account after one month of unemployment and keep its account with the EPFO"
Till now a subscriber can withdraw his or her funds after two months of unemployment and settle the account in one go. Santosh Kumar Gangwar told " We approved almost the entire agenda listed for the meeting of the CBT today. We have also given an extension of one year to ETF (exchange-traded funds) manufacturers SBI and UTI Mutual funds till July 1, 2019. We have also extended the term of fund managers till December 31, 2018." This is good....infact 100% would have been better with the increase in the number of Insolvency cases. It's good but all formalities of withdraw pf amount shud be online process. My KYC ara ok, but as pf portal I can't clear the amt by online, so pls give idea .. It's good but all formalities of withdraw pf amount shud be online process..? Sir if I apply my pf through online can I get the full amount? ?